You are here: Home / Great Deals / Hotel Organic Bamboo Sheets In Queen Just $22.99 Plus FREE Shipping! Hotel Organic Bamboo Sheets In Queen Just $22.99 Plus FREE Shipping! Sleep better than ever in the comfort and high end luxury of Bamboo Bed sheets. Twin size is $16.99 and California King is $26.99! Full, Queen and King are priced in between! These sheets are high quality, durable, and soft. No itching or rough fabric against your skin. They’ll fit perfectly on your mattress as well and look terrific! 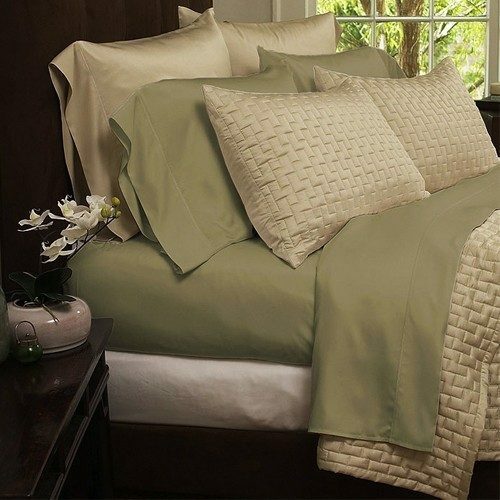 Get the 4 Piece Set of Hotel Organic Bamboo Bed Sheets in Queen for Just $22.99 Plus FREE Shipping!